I guess high pet gates are needed in this tall and hairy dog. 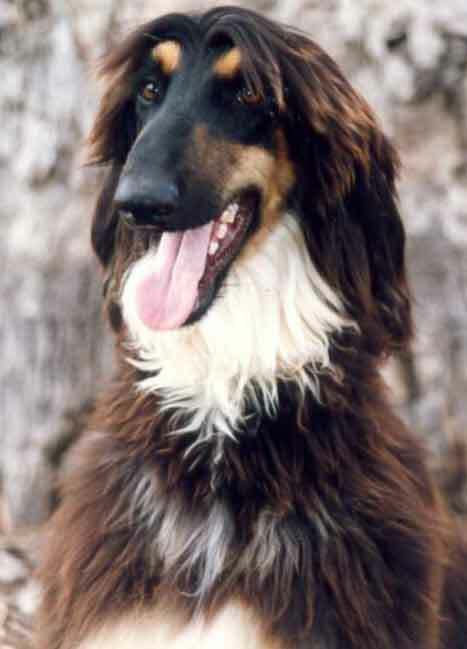 The Afghan Hound is one dog you shouldn't get if you aren't fond of cats. This is because Afghan Hounds and cats are very similar in terms of personality even though they are of different species. The Afghan Hound is the wrong dog breed for you if you want a dog that is active, goofy and would chase after Frisbees. 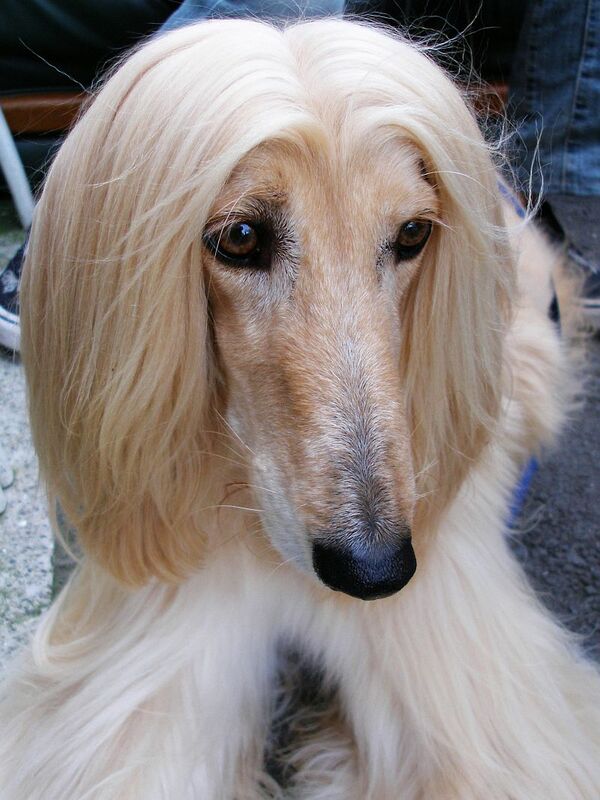 Don't expect an Afghan Hound to go after a ball and even jump into the water to retrieve it. You'll be better off getting a Golden Retriever or a Black Labrador. A hunting sight hound, the Afghan Hound is very possessive. If it sees anything that moves, the Afghan Hound thinks that it is theirs. In general, Afghan Hounds can't live with cats or ferrets in the same household although some can. However, keep in mind that regardless of how well trained they are, Afghan Hounds have an unpredictable nature and they tend to rely more on their instinct. For instance, you should never let an Afghan Hound off its leash because once it hones in on a target, you will have a hard time getting it to come back or obey a command. Hunting dog collars online was obviously needed at a well-known hunting dog breed like this. 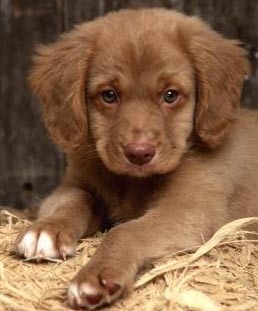 Affectionately known as the "Toller," this breed was once called the Little River Duck Dog since it was developed in the Little River district of Yarmouth County, Nova Scotia. This engaging dog is a specialist with waterfowl. Tolling, or luring, is the practice of tricking ducks within gunshot range. Hunters had long observed this behavior in foxes and deliberately bred a small fox-like dog to make use of tolling in their own hunting. Tollers are powerful, medium-sized sporting dogs, intelligent and keen workers. Males measure 19 to 20 inches at the shoulder and weigh from 45 to 51 pounds; females average one inch less and weigh from 37 to 43 pounds. The coat is medium long with a dense undercoat in red or orange. It may be marked with white on the tip of tail, chest, feet and forehead. The tail is long and heavily coated, and full of action when the dog is tolling. The coat is a true retriever double coat; the harsh outer coat waterproofs while the under coat insulates. The dogs are described as excellent hunters -- some giving their owners a look of disgust if the shot is missed -- willing to work in cold and wet conditions. While the breed was developed for waterfowl, many are used in the upland. They are equally comfortable whether the scent is on the ground or in the air. Well trained dogs hunt close and don't roam, but enthusiasm can easily run away with good field manners! They take well to obedience and some have been used successfully as therapy dogs. You will definitely hire a remote dog trainer for this little cute dog! Cocker Spaniels are lively, intelligent dogs that were originally bred as working gundogs. 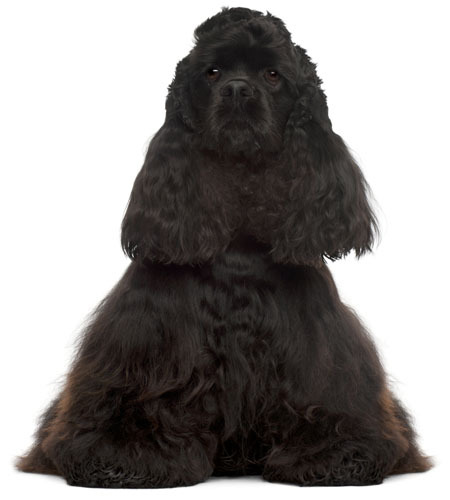 Nowadays the breed is divided into two distinct strains, the show-type and the working type. Few show-type cockers are actually trained to the gun, but they have still retained many of their instincts. They make very good companions and family pets provided they are given careful training and socialisation as youngsters. As previously mentioned, careful training and socialisation of Cocker Spaniels is essential. As they are lively and intelligent, if left to their own devices, they may quickly develop behavioural problems. They are not a dog that can be left on their own for long periods of time, when they may become disruptive and destructive. They are not a suitable pet if you are out at work all day. The Affenpinscher, or "Monkey Terrier", got his name from his unusual facial appearance. With large, dark eyes, protruding jaw and lower lip, and whiskers sticking out from the face; all enhance the "monkey-like" expression. This small type dog usually placed on a dog furniture and dog fence because of being small. The Affenpinscher is a breed of the Toy Group. They range in size from 9 to 12 inches at the withers, and should weigh approximately 8 to 10 pounds. The body length should approximately equal the height, giving the dog a "box-like" body type. The coat is a wirey, terrier-type which requires "stripping". The temperament of the Affenpinscher is often described as "comically serious". It is said they are "little ruffians with a swagger", also. They exhibit a great loyalty to their family and friends, and are fearless towards any threat. They are typically a quiet breed, but are known for their "terrier spark and fire".